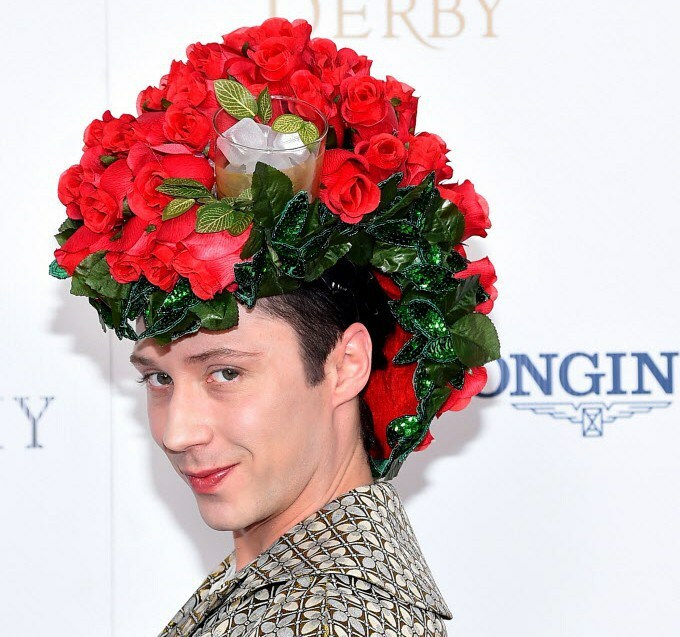 A-Morir teamed up with Johnny Weir to create a hat for jos job as NBC commentator for the Kentucky Derby in 2015. This was the 2nd year of a successful collaboration and resulted in even more accolades than the year prior. This hat, inspired by the winning blanket of roses presented to the winning horse and the traditional mint julep was a hybrid of the two; a mohawk of roses with a mint julep set off on the side. Scroll down for images and for a full list of press mentions about the creation.